Situated right on the border between Eastern Europe and Western Asia, lies the Georgian Republic. Georgia is sandwiched between the major regional powers of Russia to the north and Turkey to the South, its western border marked by the Black Sea whilst her two smaller neighbors of Armenia and Azerbaijan are to the east. Something these nations all share is the presence of the mighty mountains we know as the Greater and Lesser Caucasus, and a mystery that is hidden up in their heights. In recent years Turkey has become well-known for strange and extremely ancient archaeological sites, from the 12,000 year old city of Gobekli Tepi, with its giant standing stones and strange engravings, to the vast 5000 year old underground complexes of Central Anatolia. One of these subterranean cities stretches for up to 7 miles under the ground. Nobody is as yet sure why people with limited tools and engineering technologies would put so much manpower towards hollowing out the earth or why after building a huge megalithic city, they would bury the entire site below tons of soil, as occurred at Gobekli Tepi. It is all quite mysterious, but perhaps the answer may be found to the North of Turkey, among the mountains of the Caucasus where yet another mystery awaits solving – just perhaps there we may yet find the key to so many conundrums of the ancient world. The Greater and Lesser Caucasus mountain ranges respect no political borders, and it would seem that when they were first inhabited there were no such borders at all. For all along these ranges are to be found the remnants of at least once unknown ancient culture, perhaps more than one, only dedicated research will reveal the full story. There is certainly rock solid evidence that at least two groups of people were present there at some point and that they were not on good terms. Dotted throughout the mountains of this region are an unknown number, but a large number, of megalithic structures. These range from singular standing stones and small burial complexes to large settlements with extensive tunnel systems and others with sizeable defensive fortresses. For now we will focus on the sites discovered within the borders of Georgia. One intriguing megalithic settlement (known locally as Lodovani or Stone River), that includes a large artificially constructed underground complex, was found near the village of Manglisi, in Tetri Tskaro province. 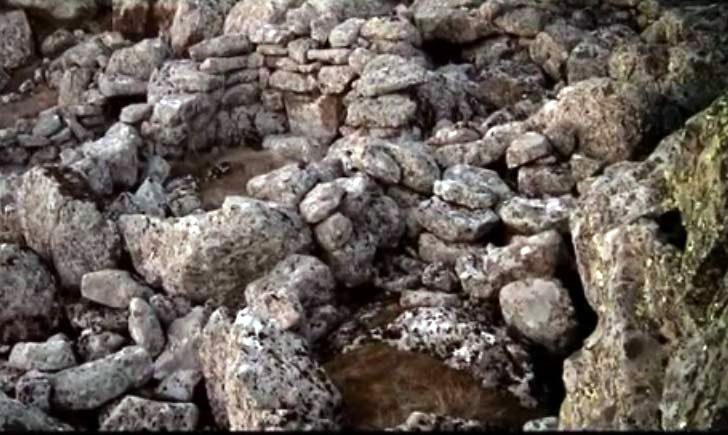 It is suspected by some archaeologists and historians that this may be one of the earliest of the Georgian megalithic sites, but still awaits accurate dating, we can only say that it will be towards the age of the Great pyramids, but it may yet surprise everyone and transpire to be even older. Beneath the ground at Lodovani is a labyrinth of tunnels that would have once allowed a significant sized population to take shelter or indeed to normally reside within at all times. We can´t yet determine the use of this catacomb, perhaps it had only a ceremonial function, but when we consider the similar discoveries across the border in Turkey it seems rather likely that at some ancient time there was a strong driving factor behind these huge subterranean engineering projects, most likely some peril that could only be avoided by taking shelter below the ground. The underground sites are typically large enough to house far more than just a few priests or shamans. This historical mystery only deepens when we move further up into the highlands of Georgia, a great example would be the fortresses of the Javakheti Plateau region. These include two spectacular examples, the first of these is the partly ruined structure known as ‘Abuli’ castle perched atop the Patara Aburi hill, a volcanic rock prominence. The second of these structures is the ‘Shaori’ castle overlooking Paravani Lake. Respectively these ancient forts are constructed at 2630 meters and 2752 meters above sea level, which is rather reminiscent of the high altitude ancient Andean megalithic constructions. 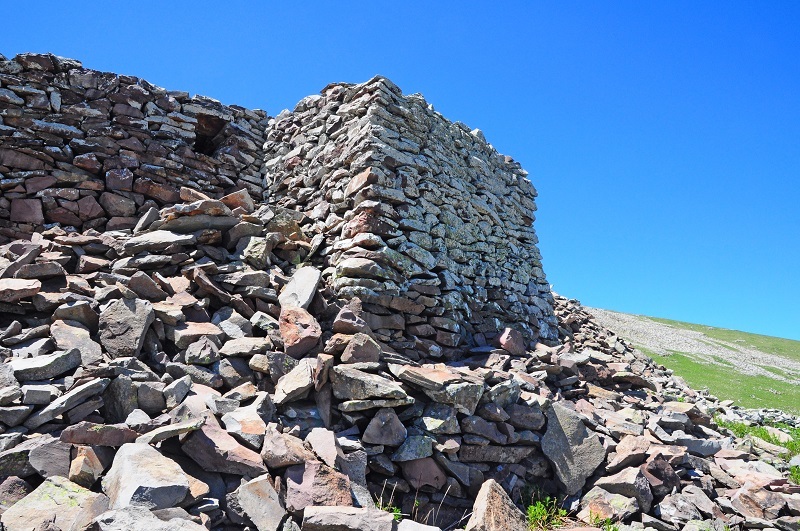 At first glance these stone structures are often assumed to be medieval period defensive sites. When the true age of the constructions is revealed the rational mind is left in shock, for these castle were actually built around 4000 years ago! The various megalithic castles and fortresses high in the mountains raise yet another intriguing question, beyond the existing one as to whom was building all of these large stone constructions, this being just who on earth were the builders defending themselves from? Why would these people have required such cyclopean defensive structures to defend against any force existing during the Bronze Age, a time where there were no sophisticated weapons of war? Surely a large castle high on a mountain far out in the middle of nowhere, built with walls at times three meters thick, is hugely over-the-top for defending the local farmers against occasional raiders armed with copper and bronze short swords? It is as though somehow an out of its time technology existed on both sides of some forgotten conflict, with one group being able to move colossal amounts of stone and displaying sophisticated engineering skills, whilst another having the technological ability to breach these immense fortifications. Georgians historians are left intrigued by these structures. Otar Baghaturia is one such historian, associated with both the International Black Sea University and Georgian Technical University, a scholar whom I had the pleasure of discussing these mysterious sites with. I was introduced to Otar whilst I was in Georgia, he explained to me that the ancestors of the resident population of Georgia, first entered the land between 4,000 and 5,000 years ago, remaining in occupation continuously until the present, yet there was no cultural record about these megalithic sites. It seemed that many of them were in place prior to the arrival of these first historically known settlers and were thus not related to their activities. 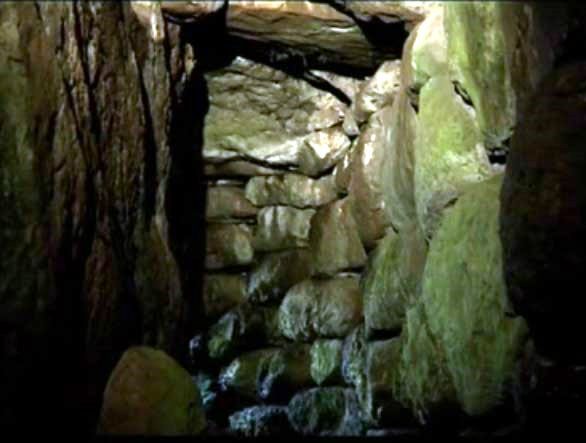 As yet no culture has been conclusively linked to the megalithic buildings, the reason for this continued mystery only serves to deepen the enigmatic aspects of the story. At all of these sites one thing is extremely conspicuous by its absence. Any signs of human habitation. Of course you can fairly argue that a building is itself one sign of human habitation, but normally where there are many permanent stone structures there are also lots of signs of human beings having lived there, from dropped tools and jewelry to ancient charcoal from cooking fires. When archaeologists excavate at well inhabited sites they tend to find a wealth of such finds, yet not in the Caucasus, instead they find nothing. It as though these sites were deliberately picked clean of every trace of the builders and of their enemies. 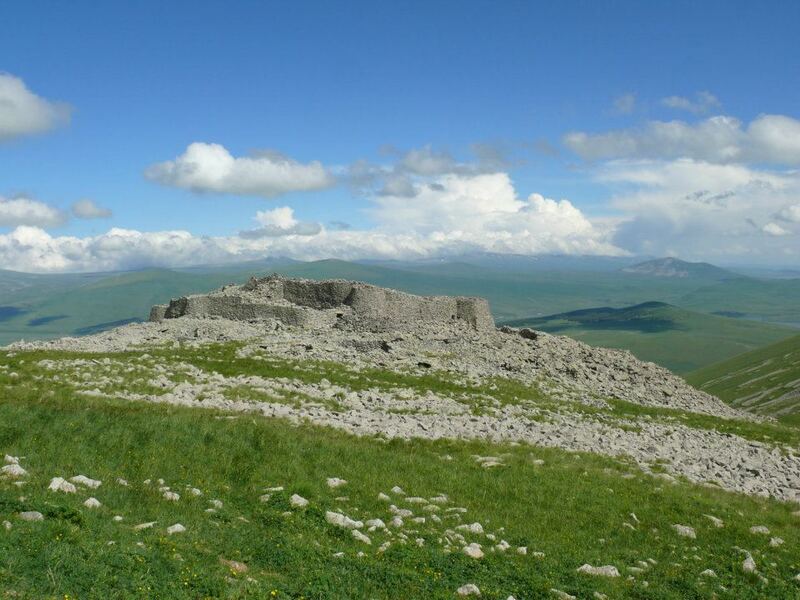 There is much more to be said about the sites of the Caucasus, hopefully this article has served to intrigue enough that readers will follow further revelations as we share them.